The Georgia Lyme Disease Association has a diverse, all-volunteer staff that is dedicated to Lyme and tick-borne disease prevention, education and patient support. During her 15-year career in the radio industry, Liz's work experience included Promotions director, On-air personality, commercial production and voiceovers. She was Assistant Business Manager at a major Atlanta radio station when she contracted Lyme disease in her Cobb County, Georgia back yard in 1991. Luckily, when misdiagnosed with probable Multiple Sclerosis, she remembered removing a tick improperly months before and insisted on a Lyme test. She's had 5 positive tests from 5 different labs, in addition to two PCR tests which detected Borrelia burgdorferi DNA. She hadn't been in a "Lyme endemic" state since early childhood. Liz and Marilyn Steinbach (Sherlock) created the Georgia Lyme Disease Association in the early 1990's. They worked trying to raise LD awareness across the state and to provide patient support. After a long hiatus, Liz hosted 8 Lyme in the Southeast presentations and screenings of the movie, UNDER OUR SKIN, which she held in area libraries and churches in 2008. 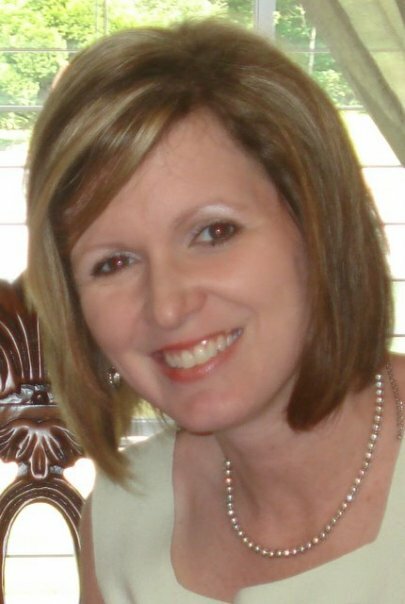 Liz established and maintains the Georgia Lyme Disease Association website. Her advocacy interests include creating an awareness of Lyme & tick-borne illnesses in the South; actively promoting preventative measures; working with healthcare providers, scientists, politicians and public health officials; and calling for funding to support desperately-needed independent research studies of TBDs in the Southeast. In October 2009, Liz served as a panelist during a workshop in Washington for national activists: CALDA's second annual Lyme Action Program. She has been interviewed on area television and radio stations, written articles about Lyme, met with U.S. and state representatives, and with CDC officials to advocate on behalf of Southern Lyme patients and for a more active regional prevention campaign. Marilyn’s professional career includes 13 years in the Insurance industry. While raising three beautiful young children, she attended college and earned a BBA in Finance at the age of 35. A year later, she was bitten by a tick during a camping trip at Clarks Hill Lake in Georgia. She developed the classic bull’s eye rash and suffered from many agonizing symptoms, as she went from doctor to doctor. In 1989, four years later, Marilyn was one of over 700 Georgians who tested positive for Lyme disease at the state health department that year. She was treated with a round of short-term therapy. Her symptoms returned, however, and her failing health ultimately caused the destruction of her marriage and the breakup of her family. After moving to Atlanta with her son, Marilyn started the first Atlanta support group for Lyme patients in 1990 at West Paces Ferry Hospital. She listed her group on Lymenet.org and began hearing from numerous patients. Liz Schmitz contacted Marilyn and together they formed the state-focused Georgia Lyme Disease Association. 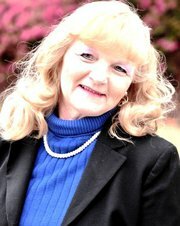 Due to various reasons, the group became inactive for awhile, but Marilyn continued her tireless efforts to provide support and information to countless Georgia and southern Lyme patients through Internet resources and contacts over the years. Marilyn is concerned most with helping Lyme patients obtain support and treatment. She advocates for public awareness and prevention and sees the need for many of our Georgia healthcare professionals to learn more about Lyme. She has been interviewed on local tv and radio stations, written articles for national Lyme publications, and met with CDC officials to discuss Lyme in the South. She continues to contact our political leaders about this problem. years. She earned her BS degree from Georgia College & State University, with a Major in Psychology. Recently, she completed a course of study in Medical Coding and obtained her CPC certification. She is currently enrolled in the Medical Assisting Program at Central Georgia Technical College, and plans to obtain a Master’s Degree in Public Health Administration in the near future. In July 2005, Terri was bitten by a tick and developed debilitating symptoms that led to a diagnosis of Lyme disease. The following summer, her husband Kevin got a tick bite that caused acute, severe symptoms which led to a diagnosis of Lyme, Babesiosis and Ehrlichiosis. They both received treatment from a local physician and have traveled out of state for further treatment since April 2008. Terri gained valuable experience working with numerous TBD patients as a Clinic Assistant for a local physician in 2007-2008. She provided patient education, tracked patient symptoms and response to treatment, and coordinated treatment protocols. 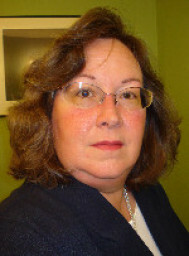 Terri attended the LDA, CALDA and ILADS conferences in 2007 and 2008. She is passionate about increasing public and medical professional awareness of the presence of Lyme in the South, following current trends in Lyme disease and co-infection treatment, and patient education. Lyndsay was awarded Georgia Lyme Disease Association's Volunteer of the Year Award in 2012 at the Georgia State Capitol during our 3rd Annual Lyme Disease Awareness Month Program. She has been a dedicated GALDA volunteer for the past several years. As a speaker, Lyndsay has played an integral role in our annual awareness programs. Behind the scenes, she has helped to advertise these events across the state. She created a touching "Georgia Faces of Lyme Disease" video, complete with music, which she has updated and shared at the state capitol each year. Lyndsay also assists in monitoring our support forums. She has volunteered at the Georgia Lyme Disease Association booth during public events to distribute educational brochures and information about Lyme and tick-borne illnesses to Georgia citizens. Working with TLS Music, she recently helped raise money for GALDA during an auction for nonprofit organizations. Lyndsay's supportive family members frequently join in to volunteer. Her father gave a memorable speech about the cost of Lyme disease during our 2012 awareness program (see our News page). The Sweeney family often helps with audio/video equipment and in setting up and tearing down for events. They spread the word about the dangers of Lyme disease and its misdiagnosis in Georgia and across the Southeastern USA. We are very grateful to Lyndsay for her volunteer efforts. She is always there, offering to lend a hand at every turn. To read more about Lyndsay, visit our Georgia Stories page. Windy was born and raised in Georgia. She earned a Bachelor’s degree in Occupational Therapy from the Medical College of Georgia in Augusta. She later went on to earn her Master’s degree in Health Education. She specializes in orthopedics and health and wellness promotion. Although she is proud of these accomplishments, her favorite title is being wife to Peter and mommy to Eva. Until contracting Lyme disease, Windy enjoyed a healthy, active lifestyle that included running, teaching aerobics, and entertaining in her home. She enjoys being with her family, cooking, homeschooling, and following Weston Price principles for eating and lifestyle. Windy was bitten by a tick in 2002. She did not develop a rash or any immediate symptoms. However, in 2003 she experienced decreasing energy and heart palpitations. As time went by, she developed Reynaud’s in her hands and feet. In 2008, her health began to rapidly deteriorate. She suffered with severe fatigue, joint and muscle pain, intermittent fevers, swollen glands, and facial pain and numbness. This eventually led to her taking a sabbatical from work. She had to employ the help of extended family to care for her, her family, and her home. It took more than a year and over 20 doctors to determine that Windy had Lyme disease. She has received naturopathic treatment from a local doctor and chiropractor, but must travel out of state for additional therapy. Windy is passionate about sharing her story to increase Lyme disease awareness, particularly in the Southeast. 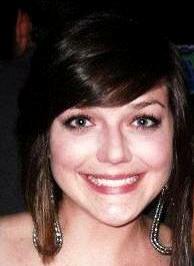 Her advocacy interests include event planning, fundraising, and health education. She was instrumental in asking Governor Sonny Perdue to proclaim May 2010 Lyme Disease Awareness Month in Georgia. She also orchestrated the issuing of Lyme Awareness Month proclamations by cities in her local county and educated other Georgia advocates about how to accomplish this in their local towns. Windy feels her own long journey gives her a greater understanding of the Lyme patient’s perspective in her advocacy efforts. works closely with many other Lyme and Tick-borne disease advocacy and educational organizations across the United States. Georgia Lyme Disease Association is honored to have the consult of the experts and professionals listed below. 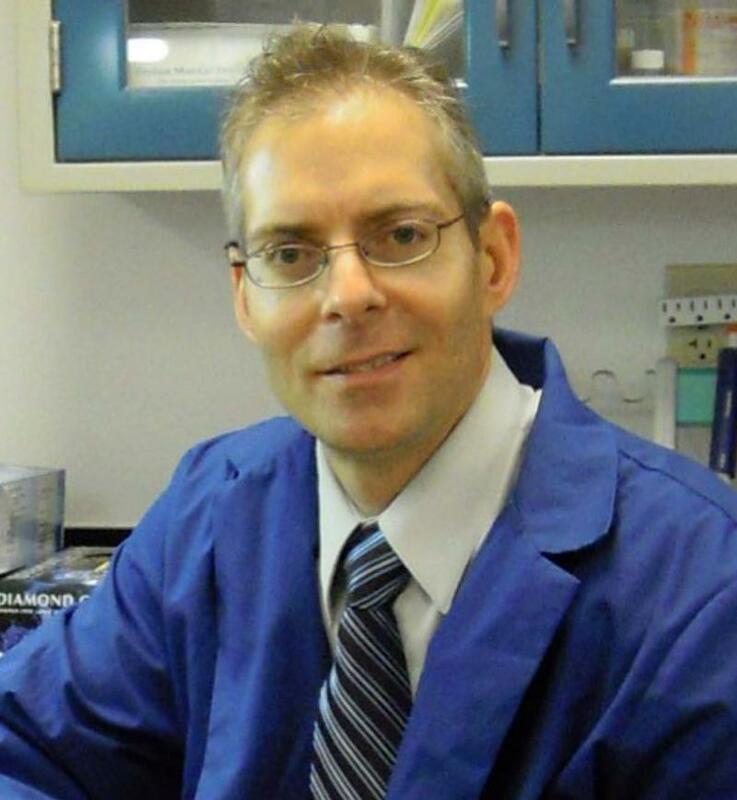 Dr. Clark is a Lyme and tick-borne disease researcher at the University of North Florida where he teaches courses in epidemiology and environmental health sciences. He previously served as Director of the Master of Public Health Program at the Brooks College of Health. Born and raised in Louisville, Kentucky, Dr. Clark obtained a B.S. in Public Health from Western Kentucky University in 1992. The following year, he earned his Master's degree in Public Health Epidemiology from the University of Alabama at Birmingham School of Public Health. Dr. Clark's interest in human health and his love of nature further inspired his interest in zoonoses - diseases that can be passed from animal to man. He pursued doctorial studies of vector-borne diseases and earned his Ph.D. from the University of South Carolina School of Public Health in Environmental Health Sciences, with an emphasis on arthropod vectors and vector-borne disease ecology. His doctoral research study was the first ecological investigation of Borrelia burgdorferi (Lyme bacteria) in the State of South Carolina. Dr. Clark has collaborated with investigators at Georgia Southern University in several studies, some of which led to the first isolation and characterizations of B. burgdorferi in South Carolina. Along with colleagues, he documented the presence of three separate Lyme Borrelia species infecting ticks, lizards and small mammals in Florida and South Carolina. He was the first ever to report finding Lyme disease spirochetes infecting wild reptiles. In 2013 in the International Journal of Medical Sciences, he reported finding two species of Lyme disease bacteria previously unknown to infect man - Borrelia americana and Borrelia andersonii - in patients from the southeastern United States. Evidence linked some of these Lyme disease cases to lone star tick bites. Dr. Clark has presented during conferences held by the CDC, the Lyme Disease Association, and the International Lyme and Associated Diseases Society. He has shared his valuable insight with the Institute of Medicine's Tick-Borne Disease Committee's regional teleconference, the Virginal Lyme Disease Task Force and during GALDA's Lyme Disease Awareness Programs at the Georgia State Capitol. GALDA is proud to have worked with Dr. Clark over the past several years collecting patient case data, providing technical assistance, and raising funds to support his work. We applaud Dr. Clark's dedication to his research and for working to educate clinicians, public health personnel and the general public about tick-borne diseases. Marcia E. Herman-Giddens is a consultant for child and family health projects related to growth and development of children, ticks and tick-borne infections, and an adjunct professor in the School of Public Health, Department of Maternal and Child Health at the University of North Carolina. Dr. Herman-Giddens worked in the field of child health and maltreatment for over 25 years as a medical provider, advocate, researcher and teacher. Dr. Herman-Giddens received her Physician Associate degree from Duke University Medical Center in 1978 and practiced pediatrics there for many years as well as directing their Child Protection Team. Following receiving her doctorate in public health in 1994 from the UNC School of Public Health, she was the medical director of the NC State Child Fatality Prevention Team and, later, a Senior Consultant at the NC Child Advocacy Institute. Dr. Herman-Giddens became interested in TBIs many years ago while practicing pediatrics at Duke University Medical Center. Her interest and experience was further peaked when she moved to Chatham County 14 years ago and witnessed the changing environment and increase in tick diseases among her fellow Chathamites. Her research, published in numerous journals, books, and monographs, revolves around the growth and development of children, puberty, media influences on child health, child sexual abuse, and child fatalities, especially those from abuse, and, more recently, tick-borne infections. Dr. Herman-Giddens is currently PI of a national study on puberty in US boys and president of the Tick-borne Infections Council of North Carolina. We appreciate Dr. Herman-Giddens' advocacy on behalf of tick-borne disease patients, particularly children, and her determination to increase public awareness of tick-borne illnesses in our region. 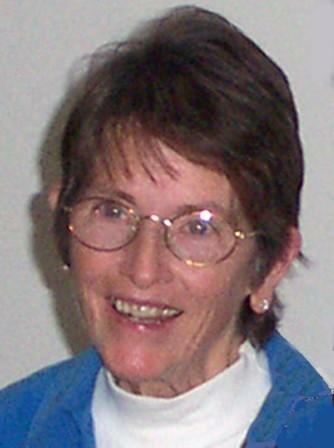 The founder of the California Lyme Disease Association (CALDA), Phyllis Mervine has served as president since 1990. 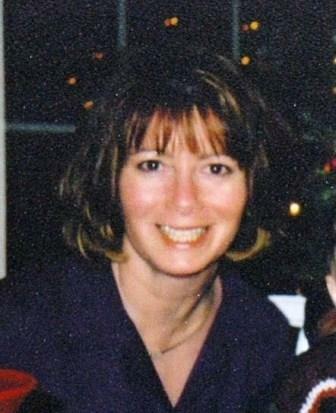 She also started the Lyme Times in 1989 and serves as editor-in-chief. She collaborates with researchers doing studies of ticks, animal reservoirs, and human infection in northern California. She is a volunteer Lyme disease consultant for Mendocino County, California, and a former member of the NIH Advisory Panel for Studies on Chronic Lyme Disease and the Ad Hoc Lyme Disease Committee in California. Her letters responding to published articles have been published in peer-reviewed journals. Her posters have been displayed at international Lyme conferences. She set up the CALDA network of state information and support groups across the United States. She is the owner/moderator of a website for national Lyme community leaders and advocates on the internet. Her special interests, besides ensuring the long term success of CALDA, are networking and community-building, making accurate information accessible to patients, and educating, mentoring, encouraging and supporting the next generation of Lyme disease advocates. We salute Phyllis for her amazing spirit, her enthusiastic encouragement, and her many years of Lyme patient advocacy and support.